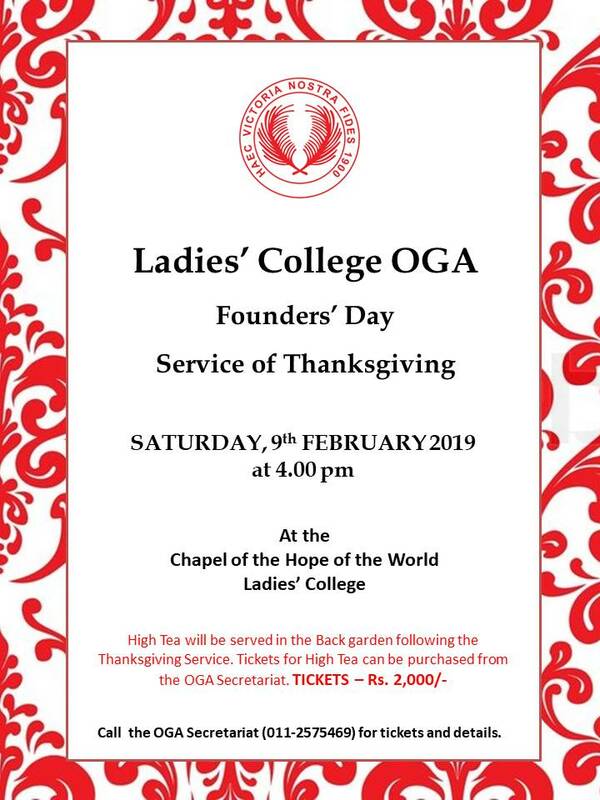 Ladies' College OGA Founders' Day Service of Thanksgiving will be held on Saturday 9th February 2019 at 4.00pm at the Chapel of the Hope of the World. High Tea will be served at 5.30pm in the back garden, following the Chapel Service. 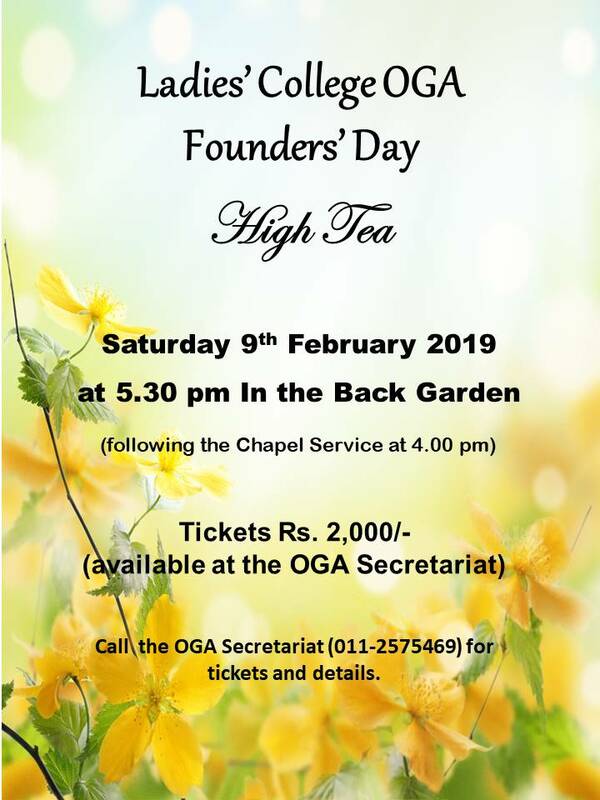 Tickets for High Tea, priced at Rs.2000/- are available at the OGA Secretariat. Please call 011-2575469 for tickets and details.